In the 16th in a series of posts on 2016 books entered for The Story Prize, Matthew Cheney, author of Blood (Black Lawrence Press), explains why fiction needs poetry. In her 1932 "Letter to a Young Poet," Virginia Woolf wrote: "For how, we despised prose writers ask when we get together, could one say what one meant and observe the rules of poetry?" Though "Letter to a Young Poet" is not among Virginia Woolf's best essays (nor did she think it was), it has its marvels, among them the last line: "And now for the intimate, the indiscreet, and indeed, the only really interesting parts of this letter. . . ." Not only is there the marvelous alliteration (how poetic! ), but there is also the entire other letter, the one outside this text, the one that promises to be so much more wild, and which becomes visible as the shadow of the "Letter to a Young Poet". Having given us her public letter, Woolf encourages us to imagine that other one. It is a gift to us, the readers, because that letter, which we have now imagined, is the real letter, the one we most need, the one we can learn the most from. Of course, Woolf was wrong about poetry. There are no rules of poetry. I think she knew this, but didn't want to admit it, because she had pushed the "rules" of prose so far that it was, perhaps, terrifying to think poetry might not have any rules. 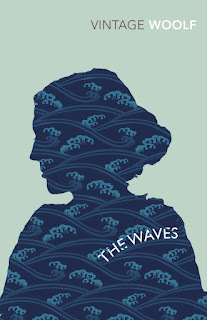 (A New York Times review of the novel she'd published just before the "Letter to a Young Poet" declared, "the real reason why The Waves comes close, as a novel, to going out of bounds is that its true interests are those of poetry.") To allow herself freedom in prose, Woolf needed to think of poetry as less free. a painter, but I am not. As for me, I am not a poet, I am a prose writer. Why? I am not like Woolf, I don't think poetry is a set of rules to be observed, so it is not a freedom-granting opposite for me. There is something else. I care about words, structures, rhythms, resonances, patterns, allusions, borrowings, sentences, images, emotions, voices, dreams, realities, fears, anxieties, failures, yearnings, and much more, but I don't really care about telling stories. The story is a kind of vehicle, or maybe an excuse, or maybe an alibi. The conventions of the story can be followed and forsaken in ways that get me to the other things, the things I care about. All of those things I care about are things common to poetry — some more common to poetry than to prose, I'd bet — and that is why I read poetry, but even though I read poetry, I write prose because I just don't know how to do those things unless I'm writing prose. When I teach writing, I try to teach the students to think like poets, even if they don't write like poets, even if they write the prosiest prose. These days, I mostly teach First-Year Composition, and so my primary task is to unteach much of what my students think they learned before. (The structures and institutions within most high schools, especially public high schools, encourage students to fear risk more than anything else, and so regardless of what the teacher teaches, the typical student will learn not to take risks as a writer. Writers who don't take risks succeed only at being boring.) Poetry is great for my iconoclastic intentions, because even students who have had wonderful, innovative teachers of poetry in the past may still hold on to an idea that poems are things that sound like Hallmark cards and work like cryptography. This idea is deep and it takes more than one teacher to shatter all its perniciousness, so I do what I can for the cause. I give them poems by Frank O'Hara, Gertrude Stein, Adrienne Rich, etc. Even though this is my approach with First-Year Composition, I would do the same thing in an MFA fiction course, because perhaps more than anybody else, fiction writers need poetry, especially fiction writers who have begun to develop some skill and some sense of themselves as fiction writers. Yes, definitely, more than anybody else, these writers need poetry. Lesson: Grab a random poetry anthology off a shelf and read it while telling yourself, as firmly as you can, that you are reading short stories. Then grab a random short story anthology off a shelf and read it while telling yourself, as firmly as you can, that you are reading poems. (What does this do to your brain? What does it do to the texts?) Keep at it. Lesson: Our stories need poetry. Not "poetry" like puzzles with hidden meanings or songs of sugary sap, but real honest-to-goodness poetry: how the most vital of the young poets (whatever their age) write, the attention to sound and structure, the comfort with parataxis, the willingness to go off on a rant or a tangent, the desire to accumulate lots of vernacular language and assemble it into a newfangled thang, the yearning for lyricism while being suspicious of lyricism, the worship of exact detail, the obsession with form, the embrace of obscurity, the belief that nobody is reading their writing and therefore they are free to write as they wish, the acceptance of defeat in the face of language, the joy in throwing a pie in the face of language, the ambition to be other than everybody else, the fascination with failed performances of self-awareness, the energy that comes from seeing the page not as a place to arrange stately paragraphs but as a blank canvas for words, words, words. Go out of bounds. If your true interests are those of poetry, it doesn't matter if you're not a poet. Becky Hagenston Wonders: What If?